Below is an article from Ha'aretz, Israel’s only liberal daily, on their reaction to Israel’s threats and attempts to derail the negotiations with the Iranian regime. Israel, of course, doesn’t like negotiations, especially those that might succeed! Of course before the State of Israel there were major Arab Jewish communities in the Middle East, including 100,000 (one-third) of Baghdad but the uncertainty created by the Israeli state’s expulsion of the refugees coupled with Zionist agents, who were caught red-handed in some cases, planting bombs in or near Jewish targets set off a stampede. All the details of what happened in Iraq (& Egypt) are detailed in Marion’ Woolfson’s Prophets in Babylon and David Hirst’s The Gun and the Olive Branch. The Israeli agents involved felt betrayed (and in the case of one, in Egypt, he was sentenced to 10 years in a secret trial in Israel) and hence they spilt the beans to an Israeli satirical weekly, edited by Uri Avneri, Haolem Hazeh of 20.4.66. Hundreds of Iranians, including university students and members of the country's Jewish community, rallied Tuesday in support of the Islamic Republic's disputed nuclear program on the eve of the resumption of talks with world powers. Iranian state TV showed students gathered at the gate of Fordo enrichment facility, carved into a mountain south of Tehran. They formed a human chain, chanted "Fordo is in our hearts" and denounced the West, which has put pressure on Iran to curb enrichment activity which can be a step toward weapons development. 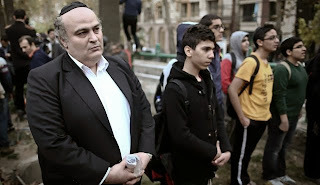 In Tehran, meanwhile, several dozen people identifying themselves as Iranian Jews gathered outside a UN building. 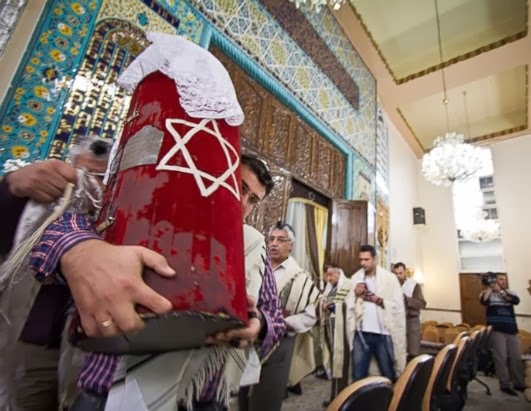 It was a rare public display by the community, which tends to keep a low profile despite being the largest in the region outside Israel and Turkey. Iran's nuclear program is popular, including among critics of the clerically dominated system, but any major gatherings or demonstrations would need official approval. 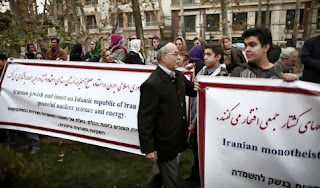 Iranian Jews demonstrate in support of Iran's nuclear program and Iranian negotiators. November 19, 2013.